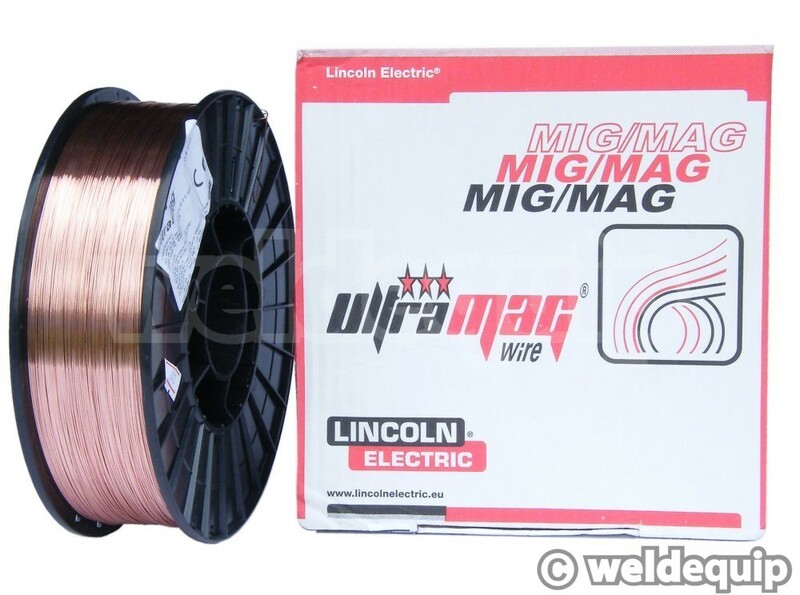 A premium quality mild steel MIG welding wire from Lincoln, ULTRA-MAG® / SUPRAMIG® is manufactured to the highest standards in the industry and is guaranteed to perform. 5Kg. 8” (200mm) diameter plastic spools. 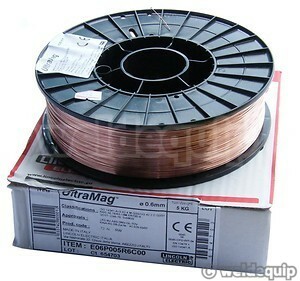 0.6mm diameter wire is the very best for thin sheet such as car body panels. 0.8mm diameter is suitable for around 2.0mm and above mild steel. Rusty welding wire is a major cause of wire feed problems with MIG welders. If you have run rusty welding wire through your machine you will need to fully service the welding torch before a consistent, reliable wire feed can be achieved again, irrespective of wire quality.